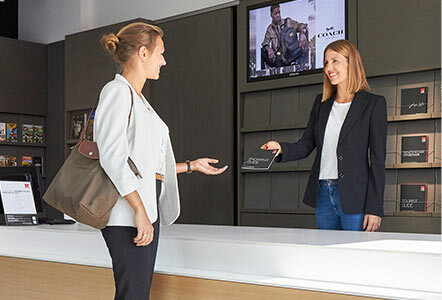 Would you like to start your shopping day in the OUTLETCITY METZINGEN comfortably browsing the latest fashion trends instead of searching for a parking space? Then the bus is the perfect choice for you. Whether you take the Shopping Shuttle from Stuttgart Airport and Stuttgart city centre, or travel from Switzerland on the Eurobus, taking the bus is a really easy way to get to the OUTLETCITY METZINGEN, and even means you get a chance to read all about the latest trends in the TrendMag or Shopping Guide on the way. The buses arrive and leave directly in the heart of the OUTLETCITY METZINGEN. 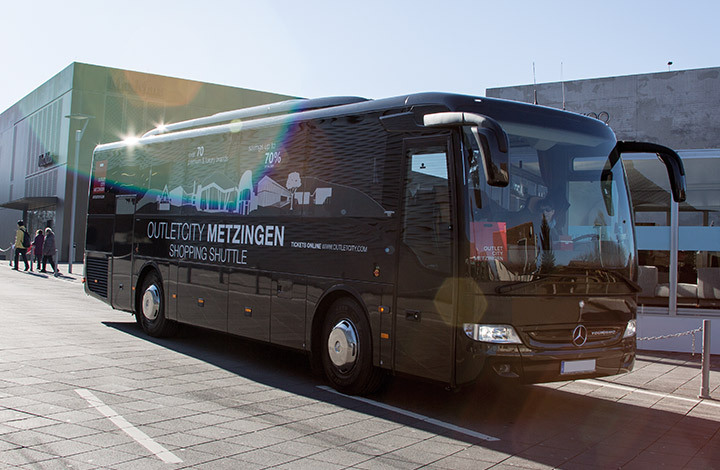 A relaxed shopping trip starts with the journey: Our Shopping Shuttle runs from Stuttgart directly to the OUTLETCITY METZINGEN and back every Monday, Thursday, Friday and Saturday. Relax and enjoy the journey on our comfortable coach. You can book tickets directly online here, at participating hotels, or at Tourist Information at Stuttgart Airport and in Metzingen. The EUROBUS transports you comfortably from Zurich, via Winterthur and Schaffhausen, to the OUTLETCITY METZINGEN and back. 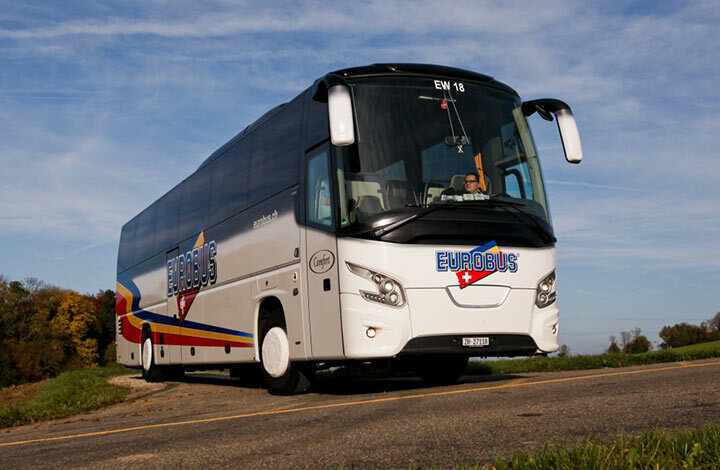 You can also enjoy additional price benefits available exclusively to EUROBUS customers. Special service: the bus makes a brief stop at the Thayngen customs office on the way back for VAT refunds. Are you staying over in Stuttgart or would you like to do some shopping before you jet off? No problem! 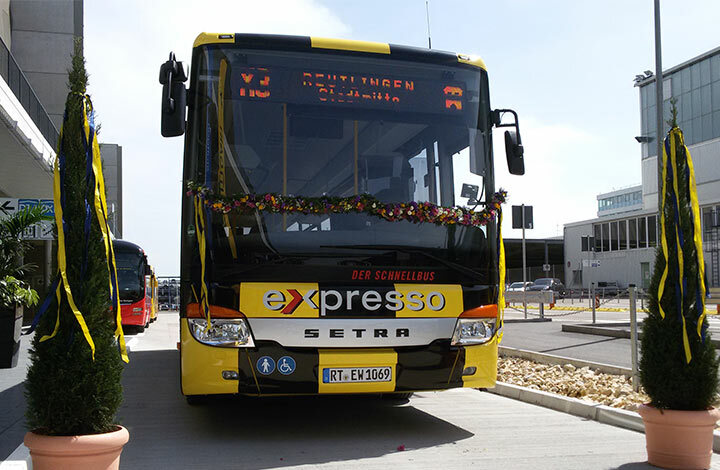 The fast eXpresso bus runs hourly between Stuttgart Airport and Reutlingen train station. From Reutlingen station, a direct train takes you to Metzingen in just 10 minutes. You can then walk to the OUTLETCITY METZINGEN from Metzingen station. If you're in a particular hurry, we recommend booking a VIP Shuttle Service before you arrive.